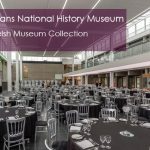 At Swansea’s historic dockside, the National Waterfront Museum has modern, spacious galleries and accessible work spaces; conferencing, breakout and catering facilities. 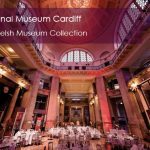 The grand hall is also available for hire for performances, awards ceremonies and launch events. Fantastic AV Facilities: Landscape digital wall, project your logo above the door outside the building, you can even change the colour of the building! The Museum is housed in an original listed warehouse linked to a ultra-modern slate and glass building. Here you can discover the transport materials and network that were so important and the ‘big things’ that contributed so much to the industrial history of our nation.